Imagine getting on a ship in summer in the Philippines, dressed in shorts and t-shirt. Soon you find yourself transiting freezing Arctic waters with only your overalls to keep you warm. Seafarers often set out on new contracts not knowing where their ship will end up or travel through, and they may need to stock up on warm clothes to see them through some of the chillier parts of the globe. We are always grateful for gifts of warm knitted items which our chaplains and volunteers can pass on to seafarers in need. All of the hats we receive from our supporters are connected by the theme of love. 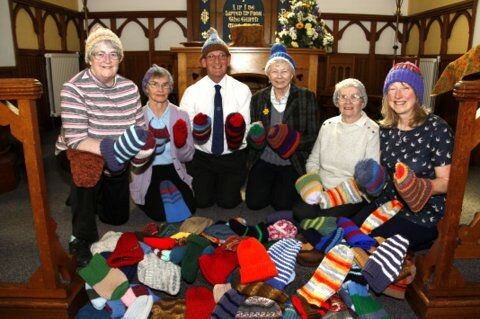 The hats are made from the love of knitting and out of love and concern for our seafarers. Every stitch of the hat is a testament to the care and skill of those who knit. The hats are given out to seafarers who, are spending months away at sea, in order to provide for the families they love. Our ship visitors, in turn, go on board vessels in order to share the love that is expressed for us all in Jesus Christ. During the year a steady stream of hats in a variety of colour and design are handed out. This cruise ship season we gave out over 100 hats to each ship that visited the Port of Rosyth, to the crews. In 26 weeks well over three thousand hats were given out. This is where many of the hats that are made for women go. A large number of the crew on a cruise ship are women. Out with the cruise ship season, we work with the crews of the Gas and oil tankers and the bulk carriers that visit the ports at Braefoot Bay and Grangemouth. 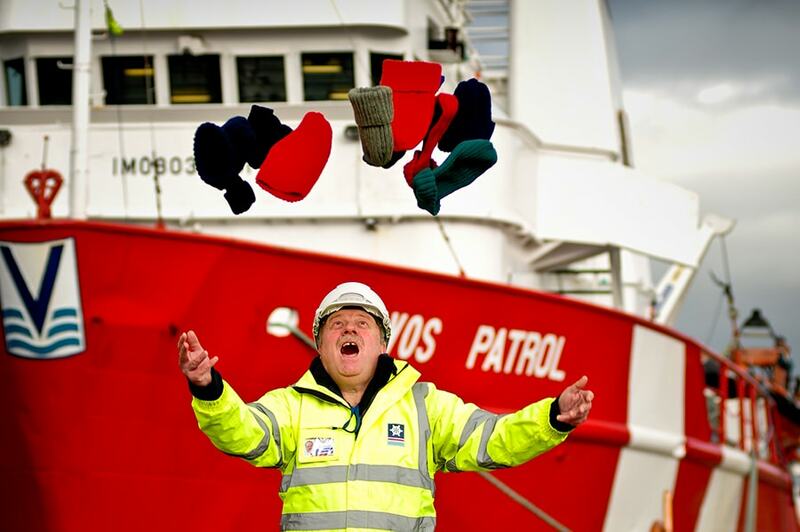 At Christmas, we give out 650 hats in parcels to seafarers across Scotland.